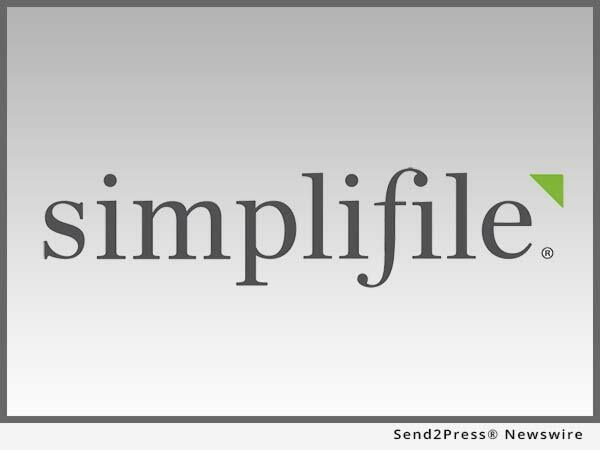 PROVO, Utah, July 15, 2016 (SEND2PRESS NEWSWIRE) — Simplifile, a leading provider of real estate document collaboration and recording technologies for lenders, settlement agents, and counties, announced it has expanded its e-recording network with the addition of 23 county recording offices across the South and Midwest. The new counties are located in Georgia, Indiana, Kansas, Michigan, Missouri, North Carolina, North Dakota, Ohio, Texas, and Virginia. James City County (Williamsburg), Va.
Settlement service providers in these jurisdictions can now submit scanned documents directly to the county recording office using Simplifile’s secure, web-based e-recording service. The county recorder can review, stamp, record, and return the documents to the settlement service provider electronically — all within minutes. Recording fees and associated payments can also be processed securely through the Simplifile service, reducing payment errors and eliminating costs associated with check-based payments. More than 1,450 county recording offices throughout the United States now record deeds, mortgages and other documents electronically using Simplifile. For a comprehensive list of all jurisdictions currently e-recording with Simplifile, visit https://simplifile.com/e-recording-counties.